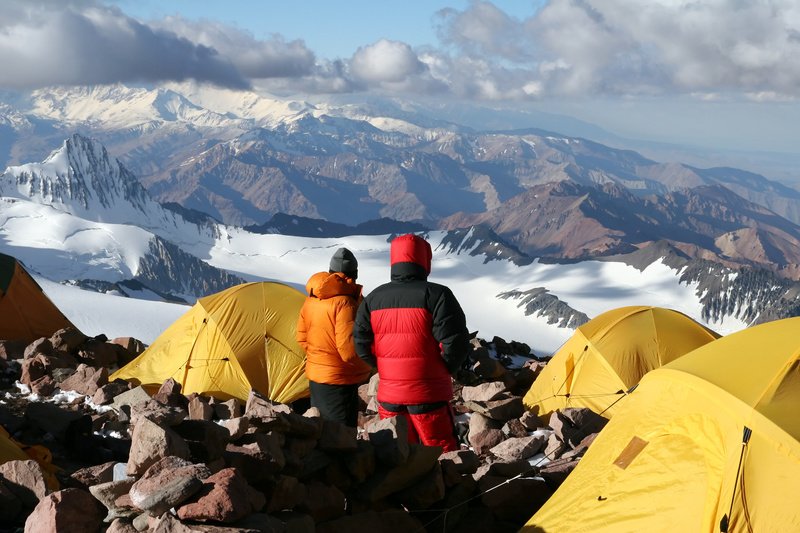 How would you like to spend three weeks in windswept Patagonia, summiting a 19,000-foot-high peak in the Andes, taking on Class III and IV rapids alongside a volcano — and picking up six college credits for adding this adventure to your academic experience? The University of North Carolina-Wilmington (UNCW) is offering this 24-day course (EVS 485/592) during the upcoming winter 2018 break, and the classroom is as described above — Patagonia, a nearly 300,000-square-mile area shared by Chile and Argentina that features the imposing Andes mountain range, deserts, plains, rocky coastlines and ice fields. This pristine real estate is enormous, yet only 5 percent of the populations of both countries live there. And it’s available to adventure-seeking Seahawks as the result of an academic partnership between UNCW and us — the Wilmington-based National Center for Outdoor &amp; Adventure Education (NCOAE). Our renowned center promotes critical thinking, environmental stewardship, and the acquisition of technical outdoor skills through accredited outdoor and adventure-based experiential education courses. One of the hallmarks of a great outdoor education program provider is its ability to become accredited by the leading trade group for the industry. Another sign of a top-notch outdoor education organization is a willingness to align its courses and trainings such that when students successfully complete a course or training, they can apply to receive college credit for their efforts. Late last year, the Association for Experiential Education (AEE) bestowed upon us a three-year accreditation for The National Center for Outdoor & Adventure Education’s (NCOAE) wilderness and adventure programs. Now, as we enter 2016, we’re pleased to announce that Keystone College — a private liberal arts and sciences college located in Northeastern Pennsylvania — has found an alignment of course competencies with NCOAE’s experiences and specific coursework offered through the college.